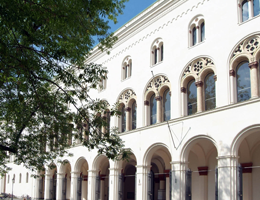 The Times Higher Education World Reputation Rankings 2015 place LMU Munich in 35th slot overall, making it again the best performer among the German universities listed. LMU has improved its position by 11 places over the course of the past year, and is again ranked among the top ten in Europe. As part of the survey on which the Times Higher Education World Reputation Rankings 2015 are based, the THE, in cooperation with scientific publisher Elsevier, last year asked renowned academics in all fields to name the universities they regarded as the best in their own particular discipline. Some 10,500 respondents in 142 countries contributed to the exercise. The latest THE Ranking is headed by Harvard University. Cambridge and Oxford take second and third place, respectively, on the list. Germany is rated third best in the rankings by country, after the USA and the UK.